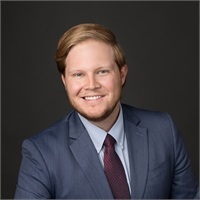 Austin grew up in Wichita Falls before attending Texas Tech University, where he earned a degree in Personal Financial Planning. During his time in the program, Austin learned a wide spectrum of ideas, philosophies and strategies that he utilizes in order to help people reach their financial goals. He was also involved in the school’s ‘Red to Black’ organization in which he and other financial planning students would help to teach and advise their fellow students on financial issues that college students face. Following graduation, Austin entered the financial services industry where he discovered his passion for working with clients. In his spare time, Austin enjoys spending time with friends and family. He also enjoys following sports and spending time outdoors, usually with his dog, Phil.